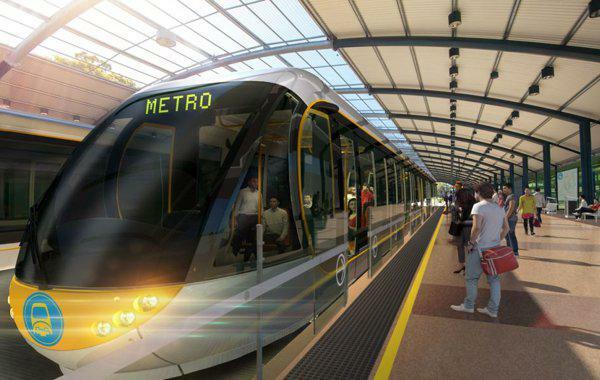 Could Brisbane's Future Metro System Include Driverless Trains? Brisbane City Council is considering the possibility of implementing driverless trains for the city’s future metro system. The revelation came during a recent public transport committee meeting, when Councillor Adrian Schrinner brought up the option of an automated system in response to a development hurdle in the project’s initial design. According to The Courier Mail, the original design proposed a stabling yard at Woolloongabba’s former Go Print site. However, the State Government was not in favour and declared the site off-limits. Brisbane Lord Mayor Graham Quirk also conceded the decision, stating that the site at Woolloongabba could not be used as a Brisbane Metro stabling yard. Cr Schrinner, who is Chairman of the Public & Active Transport Committee and responsible for the development of the Brisbane Metro project, said there were several options for stabling the Metro’s rolling stock, including finding another large site, or using “on-track stabling”. "I can say, while no decision has been made, there are opportunities for on-track stabling and that would require the metro trains to be fully automatic - so driverless trains,” he told The Brisbane Times. "If you went to driverless trains, then you could do on-track stabling, so obviously we're looking at that option at the moment." Cr Schrinner said paying drivers makes up around 40 per cent of the entire budget each year, so while the short-term, up-front costs of an automated system would be high, the long term costs would come down to much lower figures over the life of the Brisbane Metro System because driver wages would no longer be a factor. "There could be significant reasons to go to driverless,” he said. However, while the possibility of an automated system is currently up for discussion, Brisbanites and visitors to the city should not come to expect driverless trains at this stage, as Cr Schrinner said the conversation is still aimed at exploring all the options.